just playing around with some 3D software..Yes i know I got "Sphere Happy" I'm sure i over did it, but like I said this is just playing around with software anyway.. This is cool, Steve! Luv the composition!! 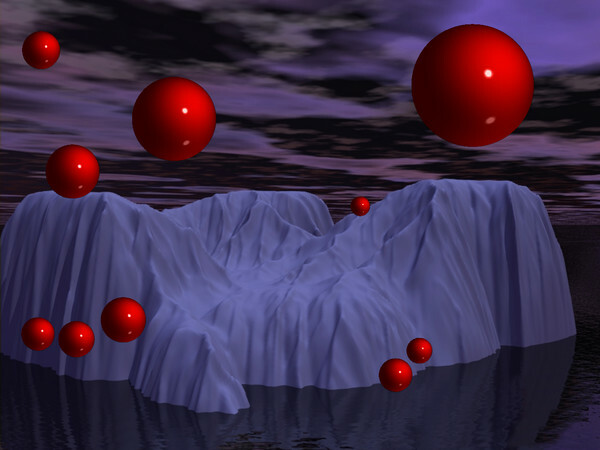 The bright red spheres against a subdued background!Awesome!! nice composition and use of colours.